This hotel finalized renovations in July 2015, including an overhaul on all 917 guest rooms and the lobby, which was reconstructed to centralize around the new “Marriott Greatroom” and the addition of more meeting space. Its location on Washington Avenue is unsurpassed; a historic property paired with blocks and blocks of character, amazing architecture, unique specific-to-St. Louis eateries, boutique shopping, creative nightlife/entertainment and a cozy atmosphere. 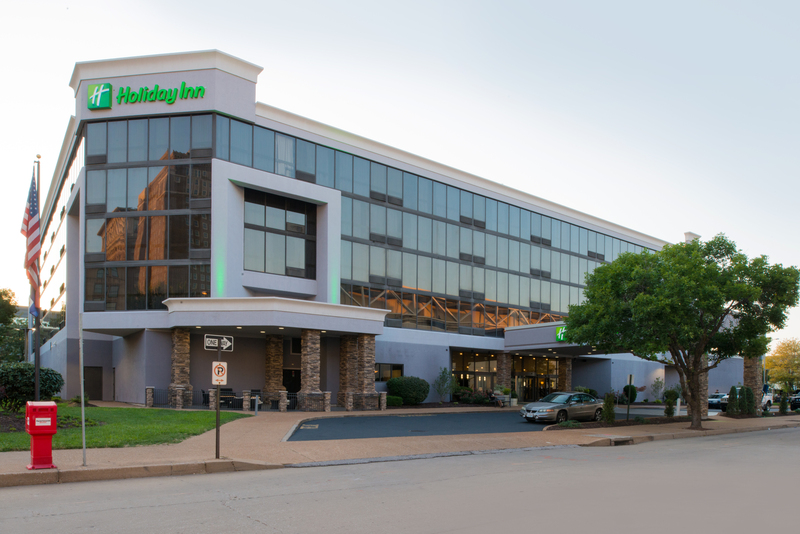 The Holiday Inn Hotel in Downtown St. Louis is located in the heart of downtown Saint Louis, next to America’s Convention Center & Dome, 1 block from St. Louis’ newest expansion area “Washington Avenue.” It features unique dining, shopping boutiques and entertainment, and only 9 blocks from Busch Stadium, home of the St. Louis Cardinals & the new Ballpark Village! 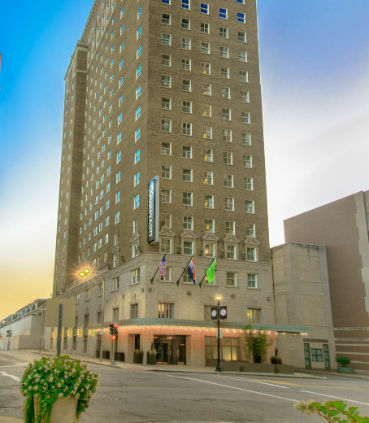 Drury Hotels carefully renovated the Union Market building in 1990, adding two additional stories for guest rooms. Built in 1925, original features were preserved in the hotel lobby and mezzanine meeting level. 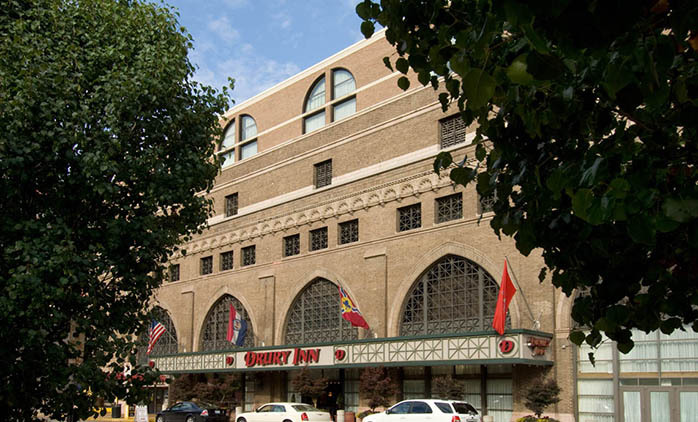 Only blocks from the Convention Center, the Drury Inn & Suites St. Louis Convention Center is walkable from downtown attractions and Washington Avenue entertainment. 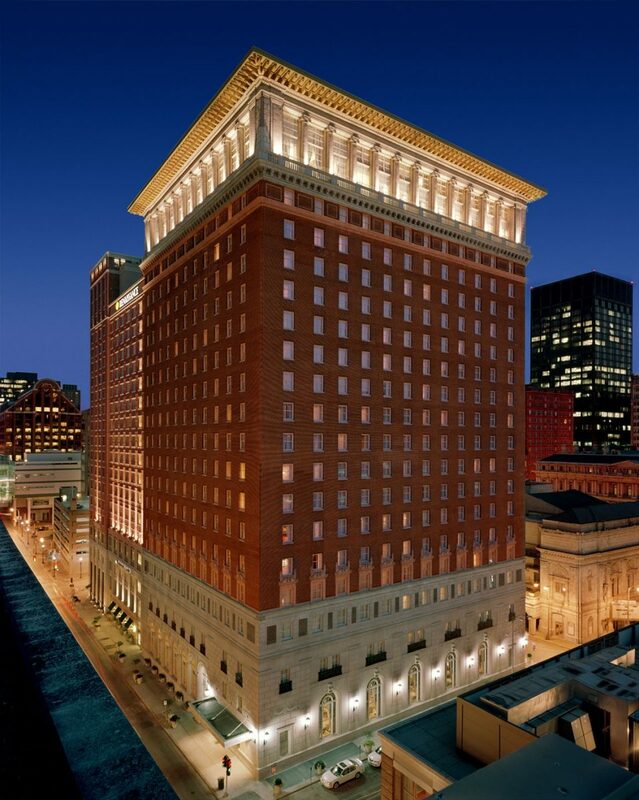 The Embassy Suites is located in the heart of downtown St. Louis within the historic Laurel Building and adjacent to the America’s Center Convention Complex. The hotel offers 212 two-room suites with a wet bar, mini-refrigerator and microwave, plus televisions in both the bedroom and living room. Other hotel amenities include a business center, indoor pool and whirlpool, fitness center, complimentary cooked-to-order breakfast and evening reception, and atrium restaurant and lounge. 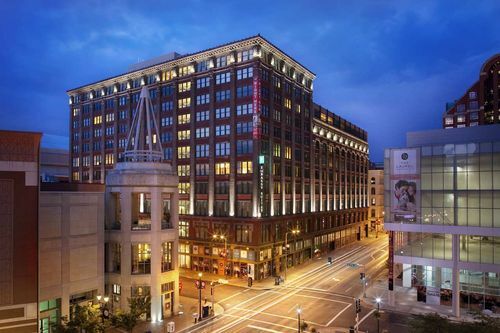 Reflecting the vibrant character of the city, Courtyard St. Louis Downtown/Convention Center features a blend of contemporary style and historic touches. Located adjacent to America’s Center Convention Complex, our hotel places you within steps of endless shops, restaurants and entertainment. When you step into our rooms after a day of meetings or memory making, kick back with many modern comforts.